Stoichiometry is the most important part of chemistry and why chemistry is so useful in real life. With a balanced equation, stoichiometric conversions can be used to calculate how much product will be made, or how much reactant is needed to produce a certain amount of product. 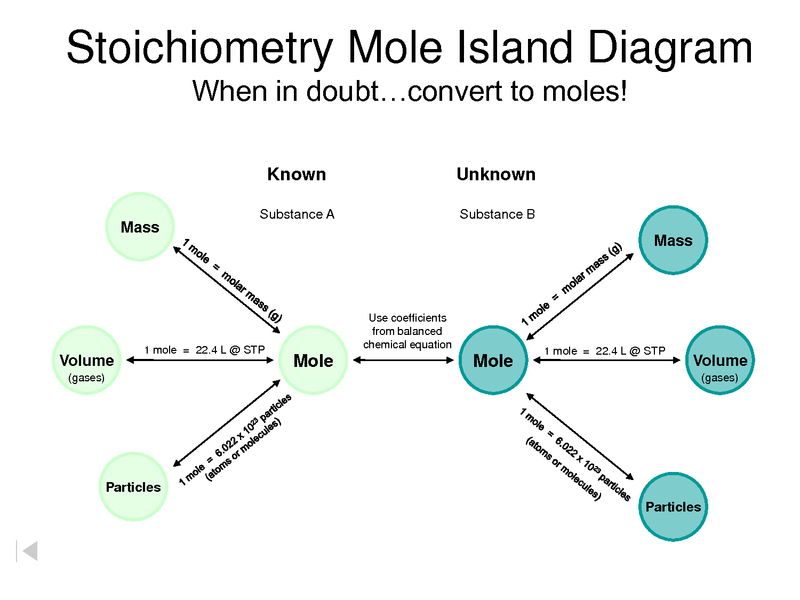 Stoichiometry uses the three mole conversions that students are familiar with from unit one, plus the mole/mole conversion. A mole/mole conversion uses the coefficients from a balanced equation to convert from one chemical to another. You can only compare elements or chemicals when they are both in mole form. Using this equation N2 + 3 H2 --> 2 NH3 the following calculations can be made using stoichiometry. Check out this video from CrashCourse if you need some help!